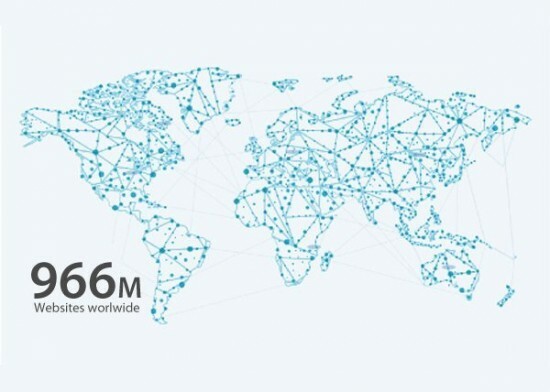 aNewDomain — How many people are on the Internet in the U.S. and worldwide? And what are they up to? 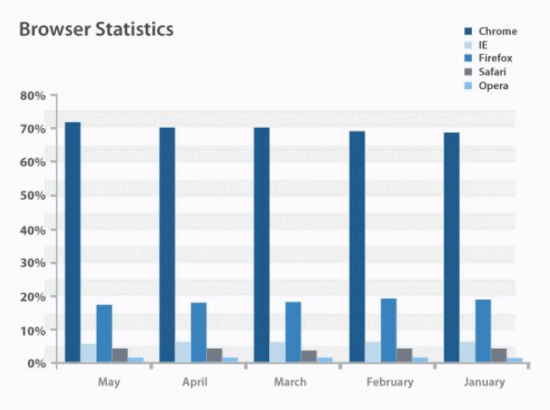 Our friends over at vpnMentor recently dug through piles of Internet studies to dig up the most recent 2017 Internet statistics. Here they are — topic by topic. You won’t find a more complete collection of Internet and Web usage and growth statistics for the U.S., U.K. and globally. Check them out below. 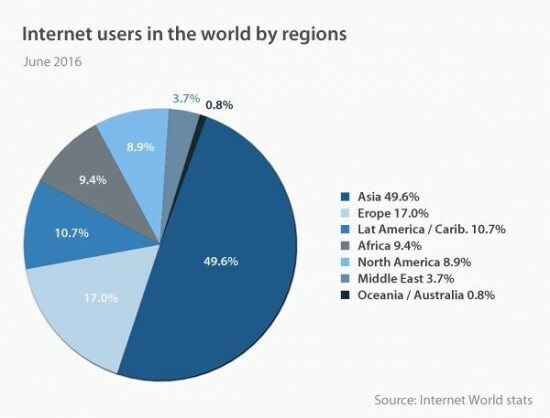 How many Internet users are there globally? According to numbers from Internet World Stats, there were about 3.7 billion Internet users at last count — a little more than six months ago. Of those, about half are from Asia. How many websites are on the World Wide Web? There are almost 966 million websites on the World Wide Web right now, but that’s not the high water mark. In 2014, there were more than 1 billion. 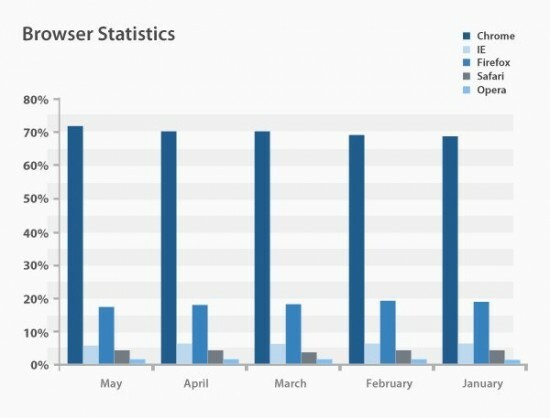 How fast is the web growing? 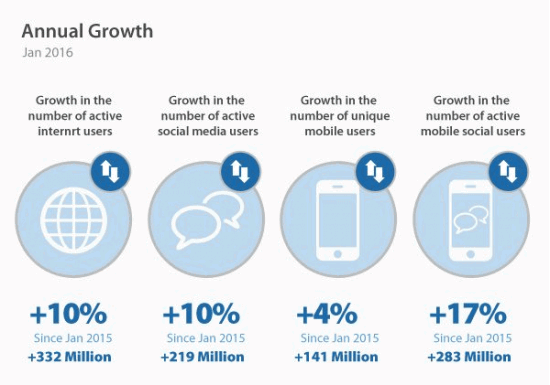 The fastest growing segment of the internet is the number of mobile social media users. The number of people who used mobile devices to access social media grew by more than 280 million globally from 2015 to 2016. 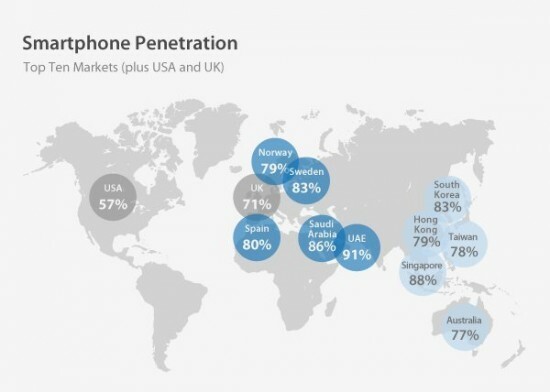 Those of us in the U.S. and the U.K. may be surprised to learn that neither countries show up in the top 10 markets for smartphone penetration. The leader of the pack is the United Arab Emirates, where about 91 percent of the population accesses the Internet from a phone or tablet. 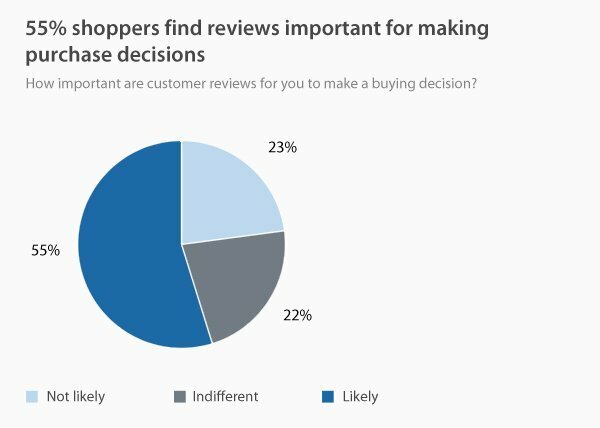 Who uses the Internet most to research products and services before they buy? 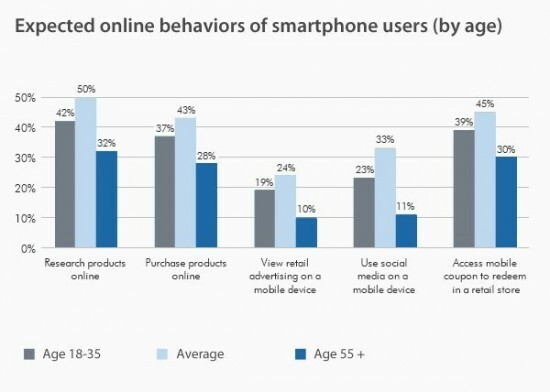 Not surprisingly, Internet users between 18 and 35 years old do the most online research — via mobile devices. Reviews are key and a majority of shoppers — some 55 percent of them — said customer reviews play into their buying decisions. 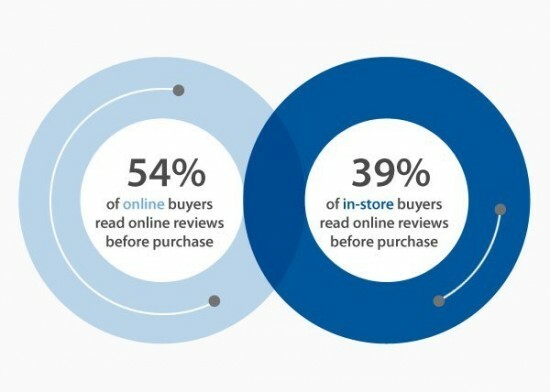 By the way, some 40 percent of shoppers in stores said they read online reviews before buying a product or service. 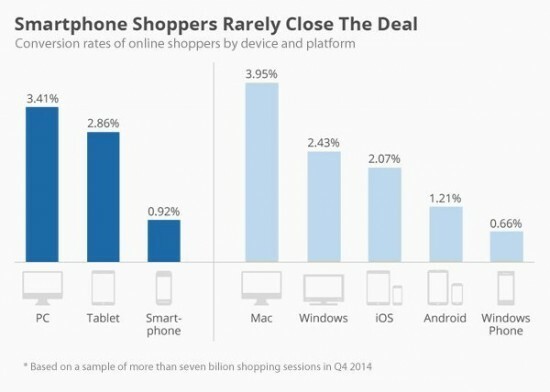 When it comes to online purchasing, people on Macs do more than people on any other platform. 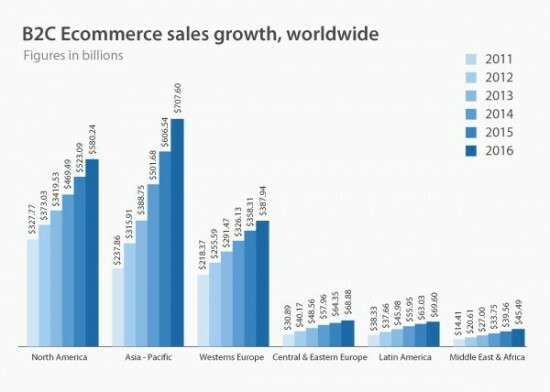 Business to Consumer sales (B2C) are up globally from 2015. The Asian-Pacific nations lead this category, with an expected $707 billion + of sales in 2017. First let’s talk about the number of smartphone users. 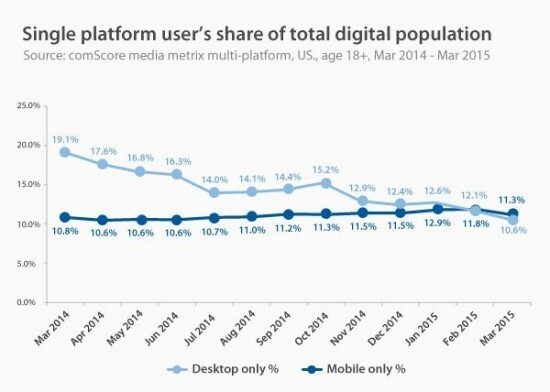 The number of mobile-only users surpassed the number of desktop-only users back in 2015, as you can see below. 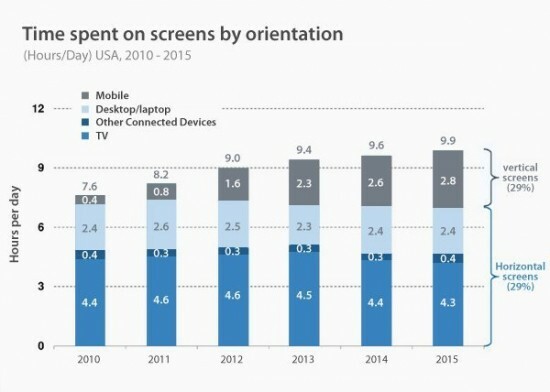 Mobile is the fastest growing platform in terms of time spent on-screen. 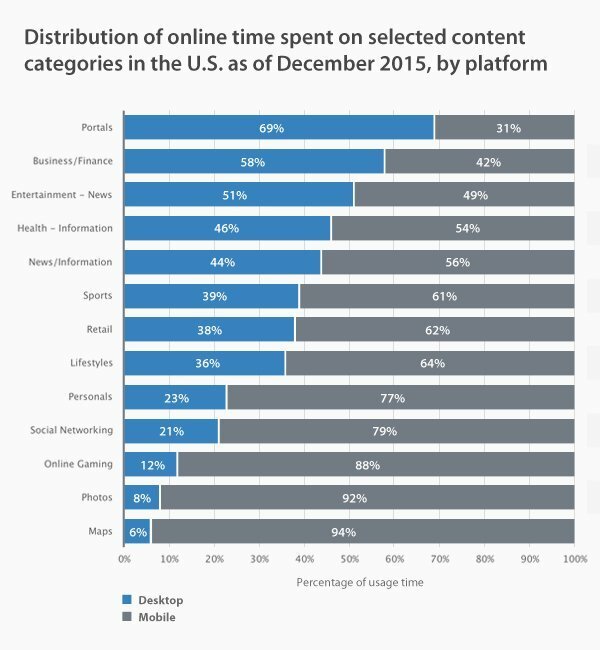 This means more people are spending time on their phones versus time on their desktops. In the U.S. the fastest growing segments of device ownership are smartphones (from 35 percent in 2011 to 68 percent in 2015) and tablets (from 3 percent in 2010 to 45 percent in 2015). Here are the numbers from Pew Research. 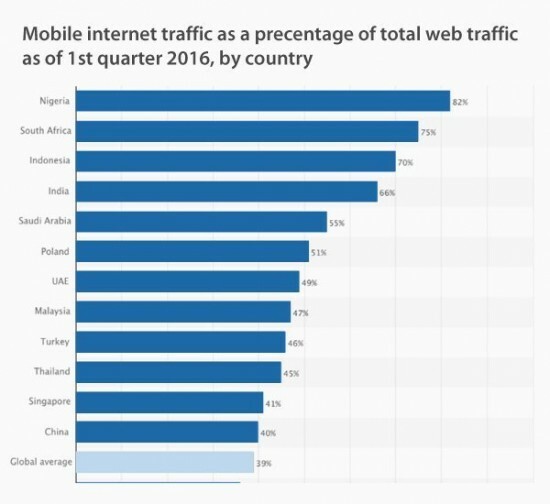 An astonishing 76 percent of Nigeria’s total web traffic comes from mobile devices. But in the United States, mobile web accounted for 22 percent of the overall traffic. 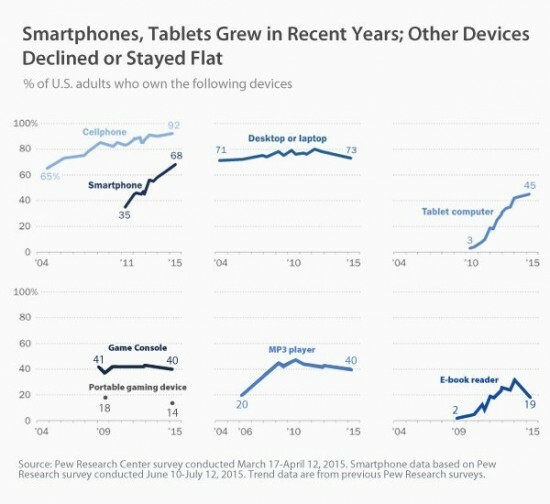 Tablet penetration has risen slowly over the past couple of years. 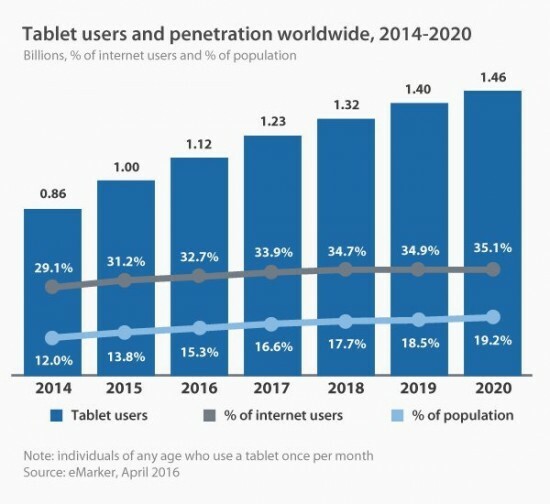 By 2020, tablets will be used by 35% of all internet users. Nearly as many people between the ages of 16 and 24 use phones to chat as use laptops. 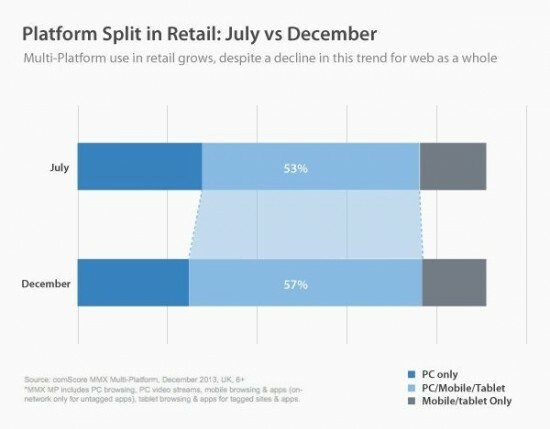 Laptops still dominate streaming content, though. In the U.K., the number of people who own multiple devices grew from 53 percent in July of 2015 to 57 percent by the beginning of 2017. And what about VPN use? In a word, yes. VPN use and data privacy have strong correlations, and as security concerns go up, so does VPN use. By accessing a separate server for internet use, VPNs make it much more difficult for hackers and/or 3rd parties to track online activities. The following charts examine the current state of VPN use around the globe. 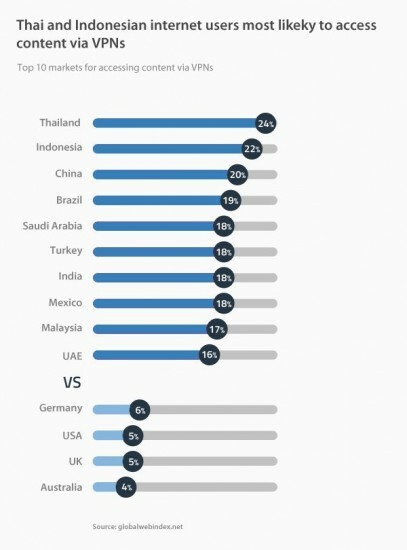 The top markets for VPN use are still Asia and the Middle East. In China, locals and tourists use VPNs to get outside the government controlled firewall that prevents access to Google services and other sites. Here’s some data from the folks over at GlobalWebIndex. While web page features such as plug-ins, pop-ups, and streaming video may help convey your message, they hinder the page load time. 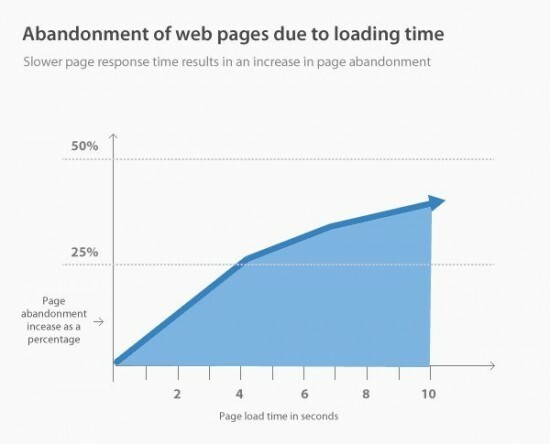 As the following charts show, a page that takes longer than 3 seconds to load runs a high risk of abandonment. How fast is fast enough? 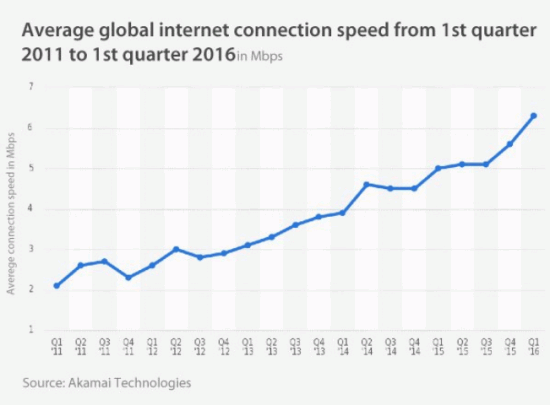 That depends, but one thing is sure: Internet speeds around the globe are at their highest peak ever. That’s according to data from Akamai. 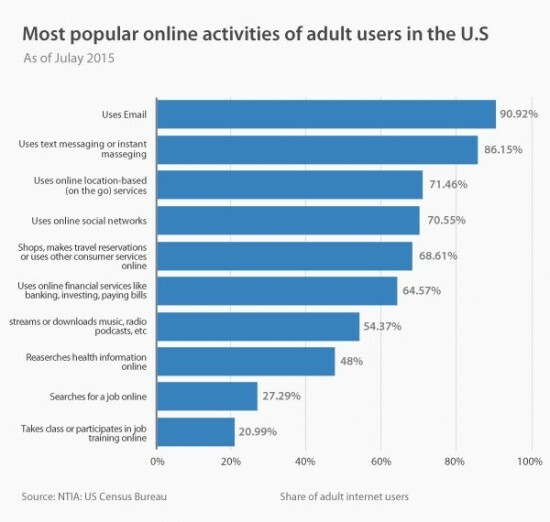 In the U.S. last year, it is easy to see what the most popular uses of the Internet and the Web are. As you might expect, communication activities like email (almost 91 percent) and instant/text messaging (86 percent) utterly dominated. 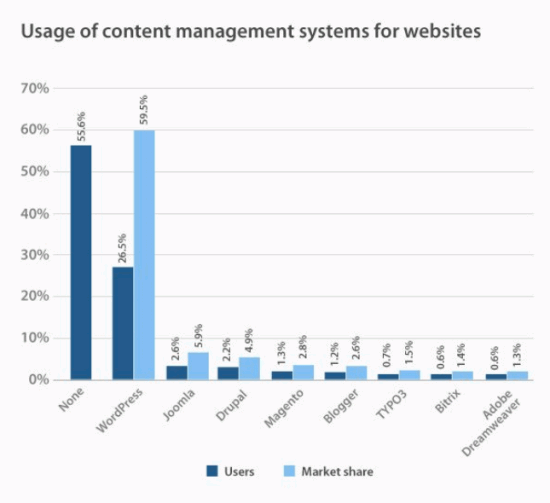 WordPress wins CMS marketshare with nearly 60 percent penetration. The No. 2 system, Joomla, had just a 5.9 percent market share. After Google Chrome, who’s the No. 2 web browser? So far, Google Chrome remains the No. 1 web browser. According to the latest numbers from researchers at w3schools, it’s more than four times as popular as its next closest competitor, Firefox. 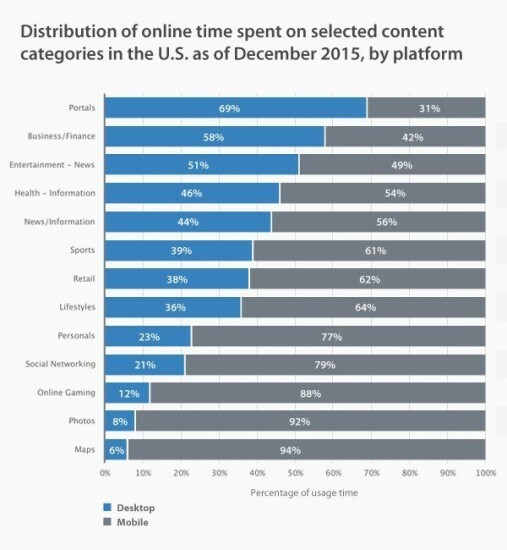 The top three activities for desktop users in terms of time spent in 2015: Portals (Google, Yahoo, etc. ), business/finance, and entertainment/news. 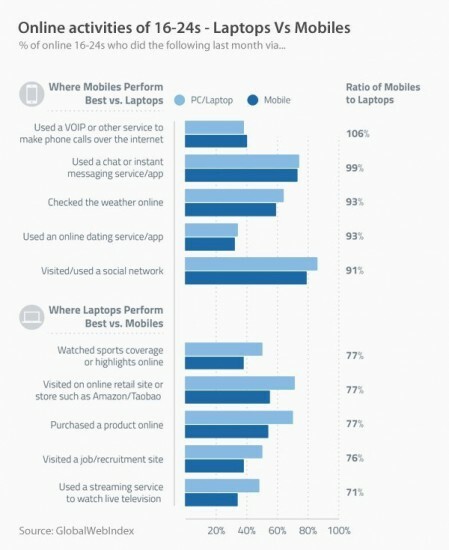 The top three activities for Mobile device users: maps, photos, and games. That’s a trend we expect to bear out in 2016 review numbers and for 2017, too. 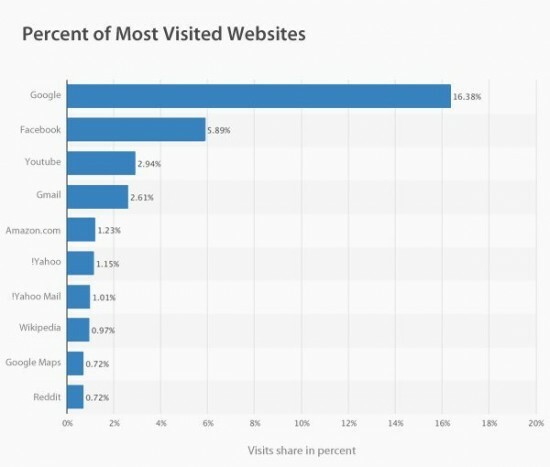 What are the top visited websites in the world. Google is No. 1. 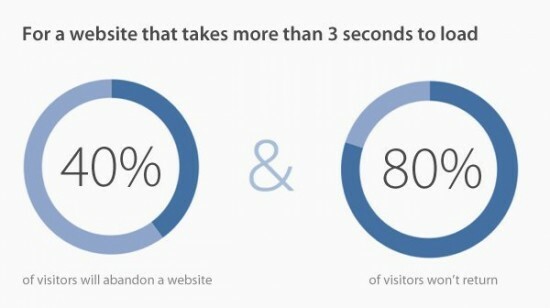 The search giant’s flagship page nearly tripled the 2nd place website — that’s Facebook — in terms of page visits. 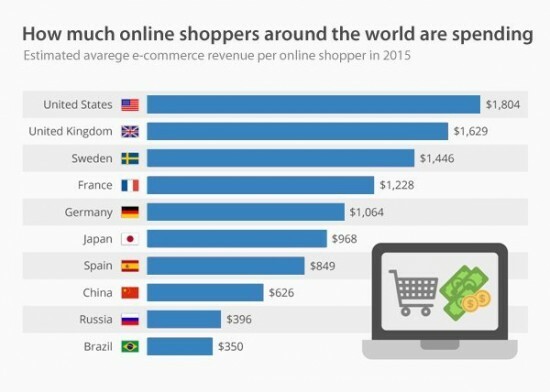 Online Shopping Stats in the U.S. 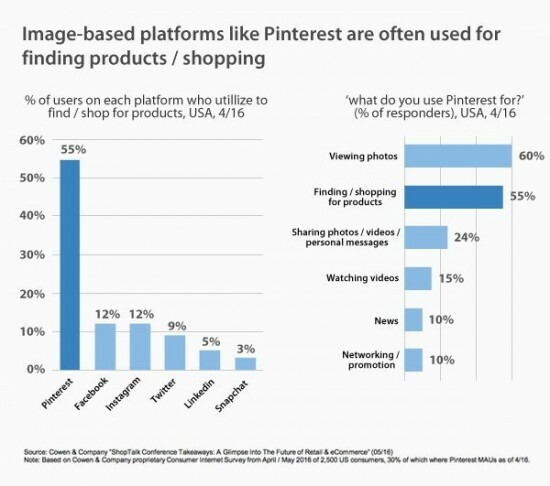 In terms of U.S. e-commerce, Pinterest wins out. Currently, mobile users spend double the time in apps as they do on mobile web pages. That gap is expected to grow even wider in coming years. 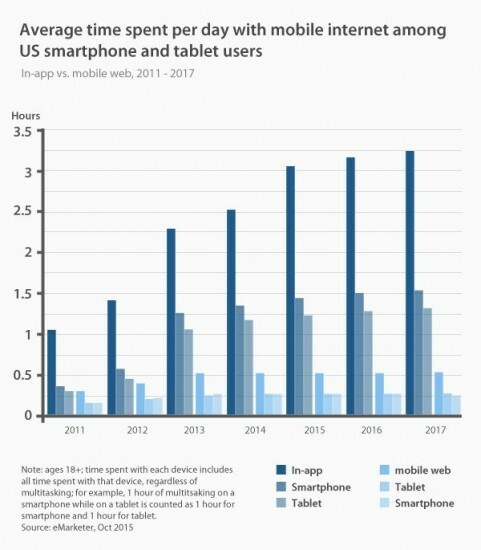 Look at the average time spent daily on the mobile Internet by smartphone users vs. tablet users in the U.S.
How big will e-commerce get by the end of 2017? 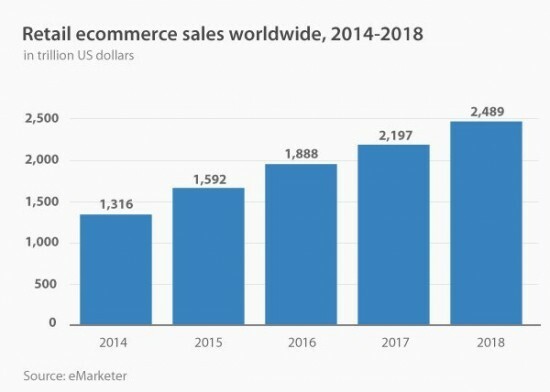 By 2018, global retail e-commerce sales are expected to approach $2.5 trillion. That’s healthy growth.